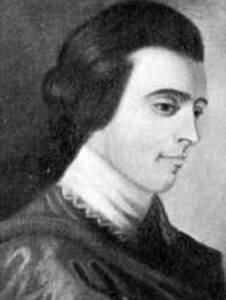 Arthur Middleton, American patriot and signer of the Declaration of Independence, was born on June 26, 1742 in a manor house known as Middleton Place on the banks of the Ashley River in South Carolina. He was the eldest son of the Honorable Henry Middleton and his mother was Mary Williams, only daughter of John Williams, a wealthy landowner, Justice of the Peace and member of the Assembly. Edward’s son, Arthur Middleton, was born at The Oaks in 1681, and inherited estates in England, Barbados and South Carolina, who was also quite active in public life. He became President of the Convention that overthrew the Lords Proprietors in 1719 and became acting Governor of the Colony from 1725-1730. His wife, Sarah Amory, was the daughter of Jonathan Amory, who was appointed by the Crown as advocate general in South Carolina Admiralty Courts, and became Speaker of the House of Commons. Henry Middleton, the father of the signer Arthur Middleton, was ranked as one of the wealthiest, most influential and politically active men in the province. Henry began construction of Middleton Place in 1741, a home that would become both an intellectual and emotional focus for successive generations of Middletons. He owned approximately 20 plantations that embraced over 50,000 acres, and about 800 slaves. Henry was Speaker of the Commons, Commissioner for Indian Affairs and a member of the Governor’s Council until 1770 when he resigned the seat to become a leader of opposition to British policy. Henry was chosen to represent South Carolina in the first Continental Congress and on October 22, 1774 was elected President of that august body. He served for a year but when asked to serve another term, declined due to reasons of health. He wanted to return to his home in Carolina and spend his remaining years at the Oaks with the knowledge that his son, Arthur, would succeed him in the Continental Congress. Arthur Middleton’s earliest education was provided by tutors and private schools in Charleston. As was the custom of the time, Arthur was sent to England at the age of 12 for further education. He attended the celebrated Hackney School (later Harrow) and then on to Westminster School in 1757 and graduated from Cambridge in 1760, at the age of 18. It was here that he acquired a thorough education in the Greek and Roman classic literature that he continued to enjoy throughout his life. He was a serious scholar, avoiding some of the exploits of his less dedicated American companions. Arthur went on to study law at the Middle Temple in London, and later decided to tour Europe for the next two years. During the time he was abroad, not only did Arthur become proficient in Latin and Greek but acquired a taste for music, painting, sculpture and architecture. He had become a true renaissance man. In 1763, at the age of 21, he returned to South Carolina on the ship Nancy. Soon afterwards he met and then married Mary Izard on August 19, 1764. Mary’s father, Walter Izard, was a justice of the peace at Cedar Grove, a plantation across the river from Middleton Place, in Berkeley County, and was captain of a Berkeley regiment in 1712 and served in the Yemassee War. Middleton was appointed a Justice of the Peace in Berkeley County in 1765, and was a member of the provincial House of Commons from 1765 to 1768. Imbued with his love of travel firmly implanted from his formative years spent abroad, Arthur and Mary left South Carolina in 1770 on a three year tour of Europe. Benjamin Rush described Arthur Middleton “as a man of cynical temper but upright intentions towards his country.” He has variously been described by others as being middle sized, well formed with great muscular strength and fine features expressive of firmness and decision, a celebrated, capricious aristocrat but like his forbears very public spirited. While still in his twenties Arthur became keenly interested in politics and was considered a more radical thinker than his father in opposition to Parliament. He was again elected to the South Carolina provincial House of Commons from 1772 to 1775. He became a leader in the “American Party” in Carolina and was appointed by the Provincial Congress in 1775 to a secret committee of five men authorized to place the colony in a “posture of defense.” He recommended a variety of defensive measures for Charleston Harbor. Upon the Committee’s edict, the Royal Magazine of Arms and Ammunition was appropriated for the defense of the Colony. Middleton became a forceful advocate for anti-Loyalist actions, including tar and feathering and confiscation of estates belonging to Loyalists who had fled the country. In June, 1776, Arthur was one of 13 chosen for the Council of Safety. 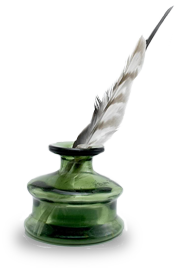 This council took measures to organize a military force, the officers of which received commissions at their hands and under their signature. He engaged in drafting a state constitution and designed the great seal of South Carolina working with William Henry Drayton. When Henry Middleton became ill, Arthur took his father’s place in the Continental Congress where it was reported that he spoke forcefully and frequently. That most important period in our nation’s history culminated in the signing of the magnificent and courageous document called the Declaration of Independence. After taking part in that momentous event Arthur returned home and, as an officer of the local militia, was actively engaged in the defense of the city of Charleston. British forces landed near Charleston in 1780 and ravaged the surrounding area and many of the plantations, including Middleton Place. While the buildings remained intact, the British and Loyalists stole anything of value they could carry, and destroyed everything they could not carry. The Middletons escaped capture at that point by fleeing to Charleston ahead of the British raid. But when the British occupation of Charleston began, three South Carolina signers, Arthur, his bother-in-law Edward Rutledge and Thomas Heyward were captured, taken from their homes and were incarcerated for almost a year in Saint Augustine, Florida. In July, 1781 he was freed in a prisoner exchange, and was appointed by Governor John Rutledge (the brother of Edward Rutledge) to the state senate. He was re-elected to that seat in 1782. In November of that year, he returned to South Carolina to visit his family from whom he had been separated and to view for the first time the plundering and devastation wrought by the British during their occupation of Middleton Place. When peace was assured Arthur decided to return home to Middleton Place for good in 1783, after declining another seat in the Congress, preferring instead the pleasure of retirement and enjoyment of his estate. He began restoring order to his plantation. Much of what is seen there today was influenced by the Middleton family’s travels abroad. He did serve in the State Legislature and also became one of the original Trustees of Charleston College. Arthur Middleton died in 1787, the year of our Constitution, at the young age of 44, but by then his work was finished, and his legacy assured. He was buried in the family mausoleum in his beloved 18th century garden. The Middleton family continued their tradition of patriotism and service to country throughout succeeding generations. Arthur’s son Henry followed in his father’s footsteps with an education in England and then served in both houses of the State Legislature and a term as Governor of South Carolina. He served as Minister to Russia during the entire decade of the 1820s, after serving in Congress. Henry’s son, Williams, was Secretary for the American Legation in Russia and was instrumental in negotiating the first treaty between the United States and Russia relative to navigation, fishing and trading in the Pacific Ocean and establishments of the north and west coasts. Later Williams became active in the politics of his day. He supported States Rights and signed the Ordinance of Secession separating South Carolina from the Union. During the ensuing war, Middleton Place was once again the scene of wanton destruction, burning, pillaging and looting of valuables by Union troops. 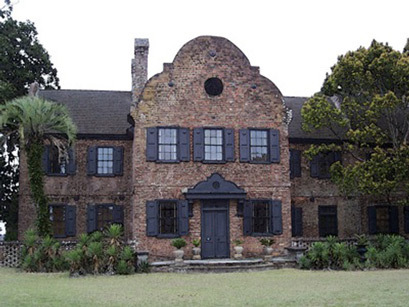 Middleton Place is now owned by the Middleton Place Foundation and is a National Historic Landmark. It has been devastated by wars, earthquakes, hurricanes and the ravages of time but fortunately visitors today may still visit this historic site, touring the gardens, rice paddies, stable yard and the house which has been furnished with Middleton family possessions. The entire stately manor overlooking the butterfly lakes is no more, only one flanker remains of that house, but the legacy of Arthur Middleton and his family still stands as tall today as it did in years past—a sense of right, civic duty and a solid belief in the principles of life, liberty and the pursuit of happiness. Arthur Middleton was a remarkable member of a family that acted upon the patriotism that they so firmly believed in, preferring the welfare of their country to private interest or financial gains. One of the US Navy attack transports built during World War II was named the USS Arthur Middleton in honor of the signer, and saw service in the Pacific Theater. These ships were designed to transport troops and their equipment to hostile shores to execute amphibious operations. They carried a substantial number of landing craft, and were heavily armed with anti-aircraft weaponry to protect their valuable cargo of troops from air attack. In Washington, DC, on the mall near the Washington Monument, is a park and lagoon dedicated to the signers of the Declaration, and one of the 56 granite markers there carries the engraved name of Arthur Middleton. In the Rotunda at the US Capitol hangs the famous Trumbull painting, “The Declaration of Independence.” The figure of Arthur Middleton is shown standing in a group of five delegates on the left side of the painting, on the extreme right of the group, with his head tilted forward. According to research done by an aunt who had no children I am th 8th great granddaughter of Arthur Middleton. She is now deceased and all her paperwork has not been located I remember at our Middleton fame reunions in Louisiana where the majority of us live, she would read all the children and who married whom. At the time I was not that interested. Now that I am much older I would like to learn all that I can about my forefathers Could you suggest the best way to begin my search. Deborah Sue, the first place to look is in a a reference book that you should be able to get through inter-library loan. 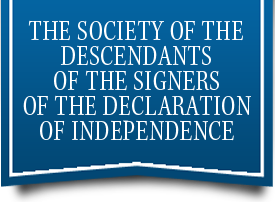 Descendants of the Signers of the Declaration of Independence, Vol. 6 Pyne, F. W., Picton Press, Rockport, ME. Look for your Aunt’s name there and it will connect all the dots back to Arthur Middleton. It has recently been brought up in family conversation that my great-grandmother used to say that her great-grandfather was Arthur Middleton who signed the Declaration of Independence. I have been trying to trace this back; however, I only have names back to my great-grandmother’s mother. From what I’m told, this connection comes down from the mother’s side. By my calculations, I think must be missing a generation (or about 30 years or so). Would you have any advice or information on how I can connect the family tree, if it is in fact true? I have information back to Anna (Test) Dickinson (1833-1919) married to Henry C. Dickinson (1831-?). Naomi, I have no records of a Henry Dickinson or Anna Test in the Middleton family. The Dickinson names does show up in the Middleton and Rutledge families, but no until 1993.
my fathers name was george dale middleton,grandfather john arthur middleton,married to yuma catherine. we live in washington state. grandpa and grandma moved here from montana. i’m new at this, but so excited to find anything about the family, so my grandchildren will know of their roots. Joycelyn, thank you so much for providing this information. I am a decentdant of arthur middleton on mhy mothers side. My mother’s maiden name is Karen Elizabeth Hess, and her mother’s maiden name was Pauline Middleton, her father was Middleton, and i believe it was her grandfather that was Arthur Middleton. I would like any information on my family tree that you can send, so that i can connect the dots and share our heritage with my children. Michael, I do have a Pauline Lee Middleton, b. 13 Jan 1883. Is this your grandmother? Our information for this branch of the tree stops here with Pauline and her six sisters. We have the birth dates of the girls, bu not birth locations or any follow on data. We also have not information on the deaths (date/location) of the girls parents. Please consider applying for membership as this is the best way we have of expanding our knowledge of any branch of a family tree. I am doing a ton of work on my family tree. I have gotten back to my 12th great grand parents in England. However, many of the Middletons in my line came to the US through Maryland, but most setteled in the Charleston and Edgefield, SC area. In some way we must be all connected to Arthur and the Middleton Place. I just haven’t uncovered that yet. Who knows… we may somehow be connected to Kate?? Arthur Middleton is my 3rd cousin twice removed. His great great grandfather Henry (1612-1654) is my 10th great grandfather. My grandfather was Guy Wilson Middleton. I finally did the research and found this out. I had been wondering for a long time if Arthur was in my family tree. For reference of prospective members, research was recently made on a family with the Middleton surname that is descended from a sibling of the actor Charles Middleton, “Ming the Merciless” of Flash Gordon fame. My research concludes that my client’s family, i. e., the Middleton ancestors of actor Charles Middleton, is not descended of Arthur Middleton, the signer. This Middleton family descends from an Ainsworth [or Anesworth, Ensworth] Middleton, who was a contemporary of Arthur Middleton, the signer. My research further concludes that this family emigrated from Ulster whereas the signer’s family emigrated from England via Barbados.